An unforgettable tale of love, family secrets, and the hold of the past in a family of New England artists, A Peculiar Grace is the latest triumph from the author of In the Fall, hailed by The Christian Science Monitor and The New York Times as one of the best books of the year. Hewitt Pearce lives alone in his family home, producing custom ironwork and safeguarding a small collection of art his late father left behind. When Jessica, a troubled young vagabond, washes up in his backwoods one morning, Hewitt's hermetic existence is challenged. As he gradually uncovers Jessica's secrets and reestablishes contact with a woman he thought he had lost twenty years before, Hewitt must confront his own dark history and rediscover how much he craves human connection. 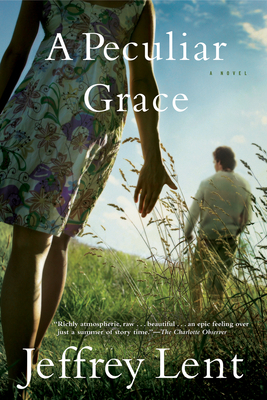 A Peculiar Grace is a remarkable achievement by one of our finest authors, an insightful portrait of family secrets, and a rich tapestry filled with characters who have learned to survive by giving shape to their losses.